Now that we have “settled” in Tucson, Arizona, or at least this is where the 5th Wheel is for the time being, it has been nice to be able to spread out a bit. When you live on the road, you don’t get stuff out much, since you will need to put it away by morning so you can be on the road again. 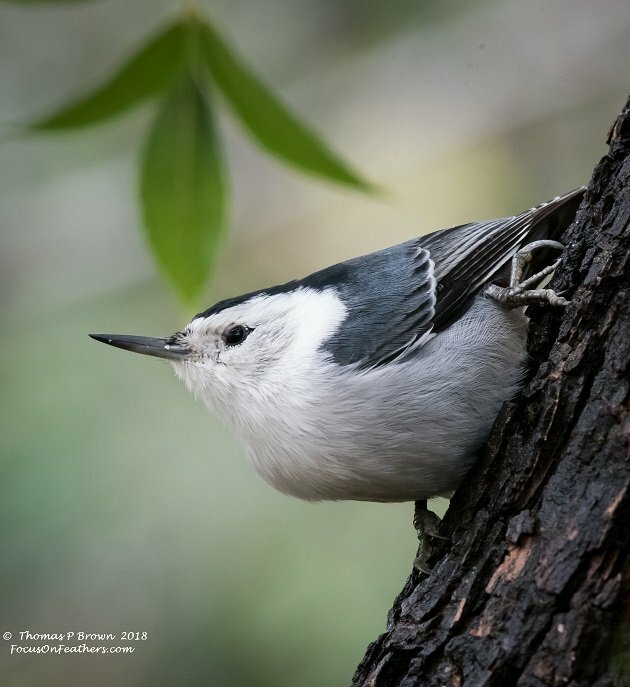 I have my bird books, field guides and reference material out where they can be gotten to in a moment’s notice. 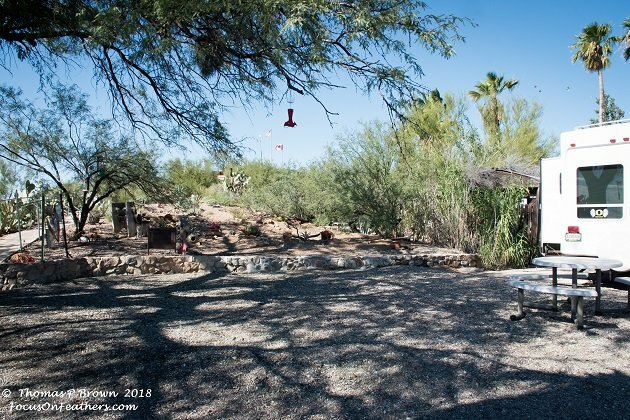 I even have something of a back yard, which I have already made very “Bird” friendly with hummingbird feeders, suet block holders, wild bird seed dispensers, and a bird bath. In my exuberance to set up my long desired bird sanctuary, I did not figure in the cost. I refer to the wild bird seed feeder a dispenser, as it is pretty good sized, and is being empty twice a day. I need to find a wholesale account for my bird seed somewhere. Another interesting point about our new temporarily-permanent home is that while we were travelling all the way around the world, we got rained on, at least during the day, 3-4 times, total! That is seven months of incredible weather. We even got our Mexico tans back while we were in Scotland, for goodness sakes. Now that we have been in sunny, dry Arizona, it has rained 5 of the last seven days. This was the weather that greeted us when we made the 60 mile trip from Tucson, down to Patagonia, AZ and the Tucson Audubon’s Paton Center for Hummingbirds. 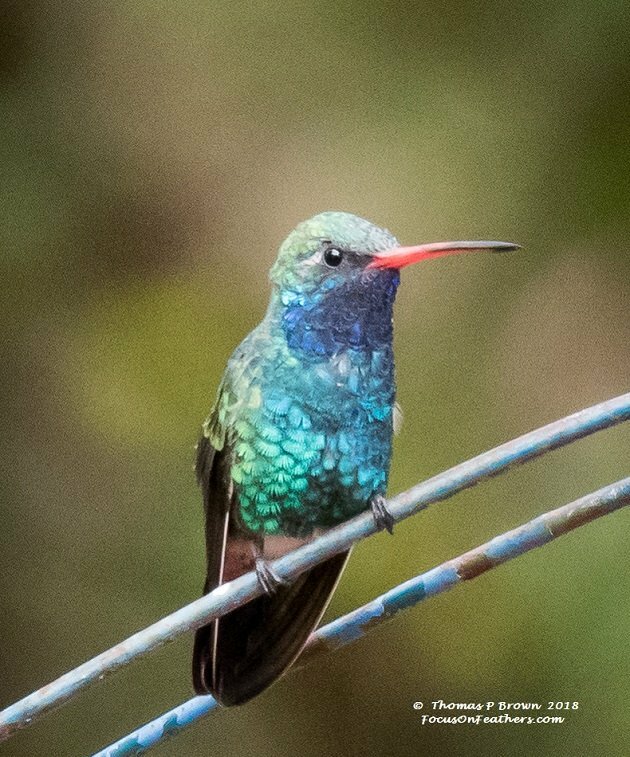 I am making the assumption, that with my upcoming trip to Costa Rica, I will be in areas that are teeming with hummingbirds. Up to this point, I have never seen anything like this place! The original owners of this home and property, Marion and Wally Paton, were avid gardeners, back in the 1970’s. 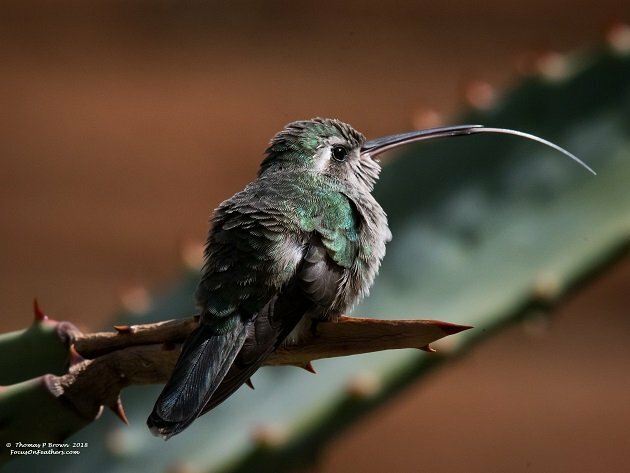 As their gardening efforts grew, so did the wild bird population, especially the hummingbirds. 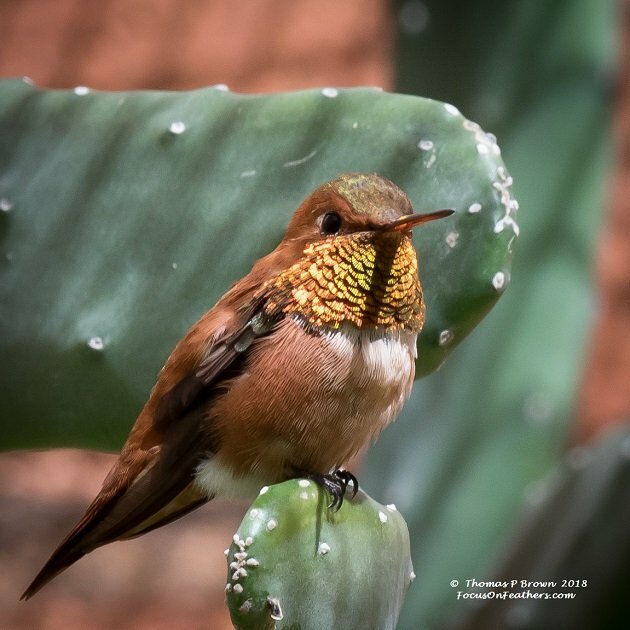 Today, with assistance from the Tucson Audubon Society, this world-famous destination is “The Place” to go for not only rare hummingbirds, but dozens of other species as well. As soon as we got out of the truck, and got our gear ready, we were greeted by Keith Kamper, the docent and without a doubt one of the most knowledge birds I have spoken to in some time. We had not even gotten thoroughly introduced when we all jumped! 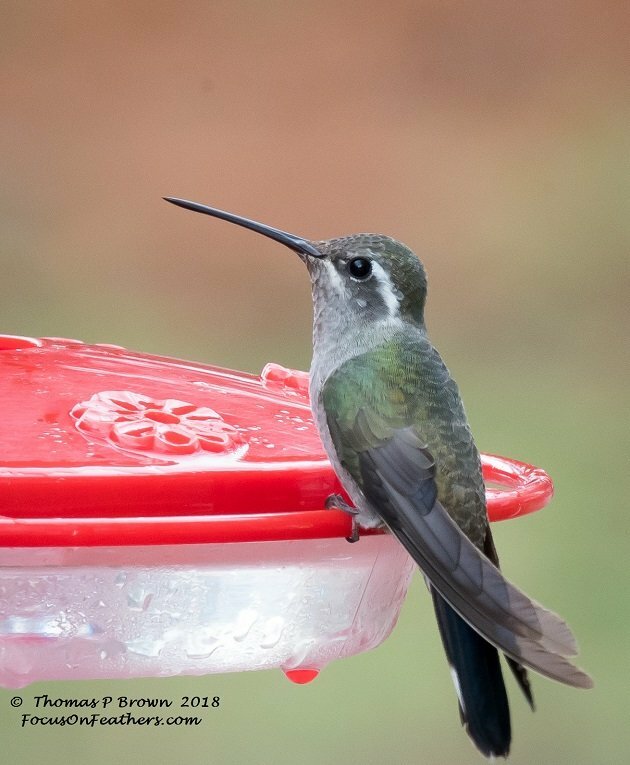 A Blue-throated Hummingbird just flew right past us, and over to one of the feeders. Not only is this a new Lifer for me, but a super rare bird in these parts. Pictures were taken, high fives given, and what a start to our day, despite the rain. By the time we left there four hours later, I checked off, seven total hummingbird species. 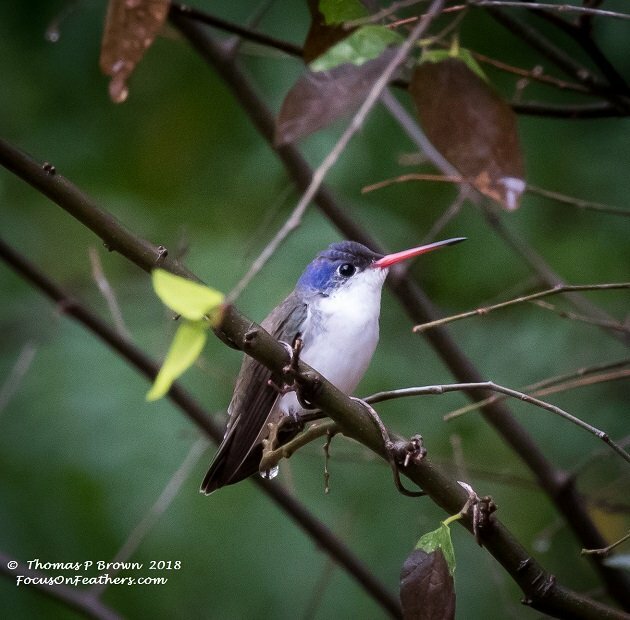 The Broad-billed, Broad-tailed, Anna’s, Black-chinned, Rufous, Violet-crowned, and the previously mentioned Blue-throated Hummingbird! Here is that Blue-throated Hummingbird. 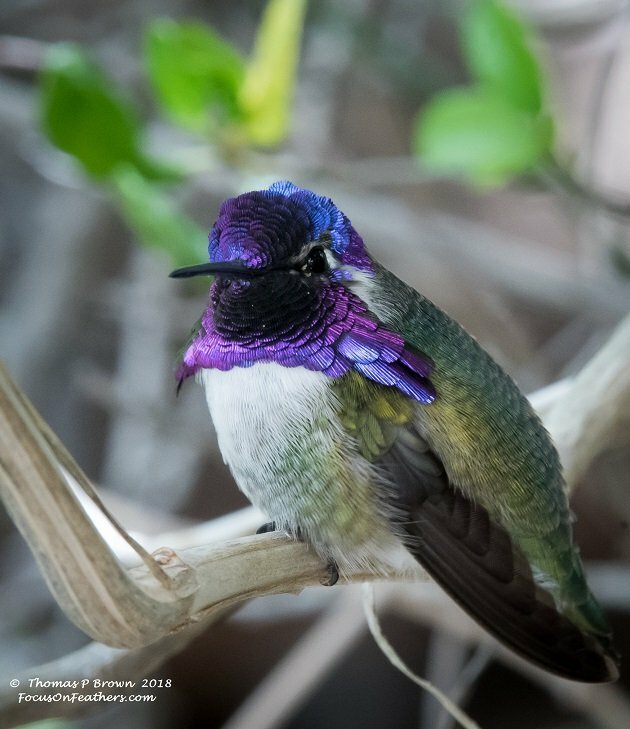 This is one of the Violet-crowned Hummingbirds. This beautiful guy is the Broad-billed Hummingbird. In addition to the hummingbirds, a few of the other highlights of the morning were the Gamble’s Quail, Inca Doves, Cooper’s Hawk, red-napped Sapsucker, Ladder-backed Woodpecker, Gila Woodpecker, Bewick’s Wren, White-wing Doves, Plumbeus Vireo, and of course, I finally got a decent photo for the White-breasted Nuthatch. I have seen these birds for the last three states, but they defied my every effort to get a photo. When the Coopers Hawk blew thru the yard looking for a meal, it just froze, and stayed right there for nearly 5 minutes, plenty of time for me to approach, and get this picture. Later in the week we finally got a break in the rain, and made an early morning run to the Arizona-Sonora Desert Museum. This is actually very close to our RV Park, as the crow, or any other bird flies, but about 20 miles on the asphalt. Several people had told us that you cannot see this whole thing in one day, and to consider getting a membership so you can go as often as you like. We took their advice, a leap of faith, and got a yearly membership right off the bat. This is truly an amazing facility, started in 1952, it now operates on 97 acres, with 135 full time employees, and over 500 well trained volunteers. They have a large walk in aviary with the local birds of the Sonora, and Southern Arizona areas. 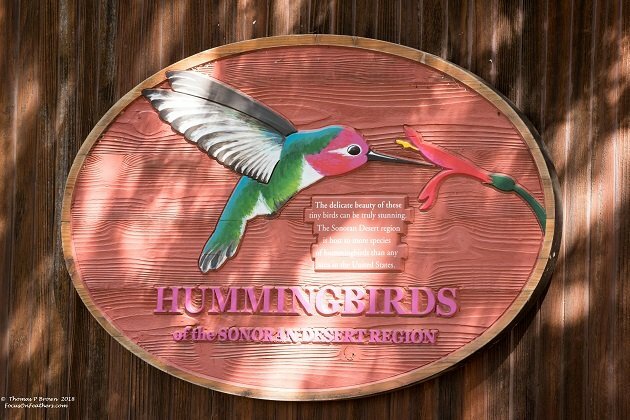 There is a very well done Hummingbird House, with close to 30 hummingbirds covering 5 species. There is an aquarium, Cat Canyon display of local wild felines, and a Wild Desert Bighorn Sheep area. They have a Raptor Free Flight demonstration, with Harris Hawks, Great Horned Owls, Barn owls, and Ravens, as well as reptile hall, and so much more, that the advice we got was spot on. We will be back often! We made a short visit in the Hummingbird House, and found this Rufous Hummingbird who just couldn’t stop posing for me! The lighting was awesome. Here is one of those Broad-bill Hummingbirds, tongue and all. This nicely colored little fella is a Costa’s Hummingbird. Anytime you have a beautiful area like this, there will be a good number of birds just hanging around. A couple of the highlights for me we several Western Tanagers, Phainopepla’s, Gila Woodpeckers, Swainson’s Thrush, Hermit Thrush, Anna’s and Black-chinned Hummingbirds, and both Red-tailed Hawk and Cooper’s Hawks. Here are a couple of photos from my “Back Yard”. This is what the whole view looks like. That is our 5th wheel on the right corner. This my view from that same right hand corner. 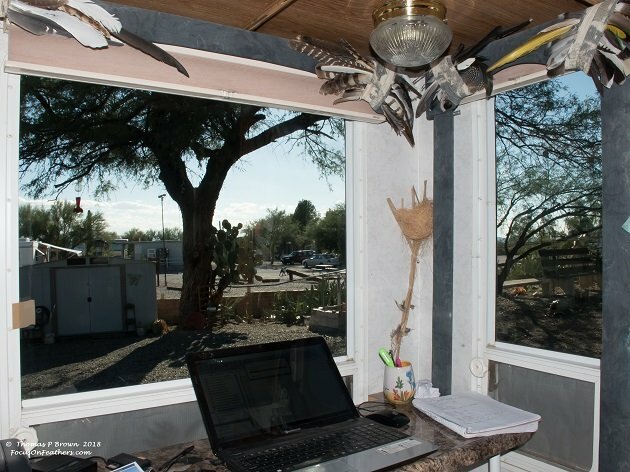 We have set up work stations, complete with a view. I have started a Yard List and feel like I am off to a good start, for only 5 days. 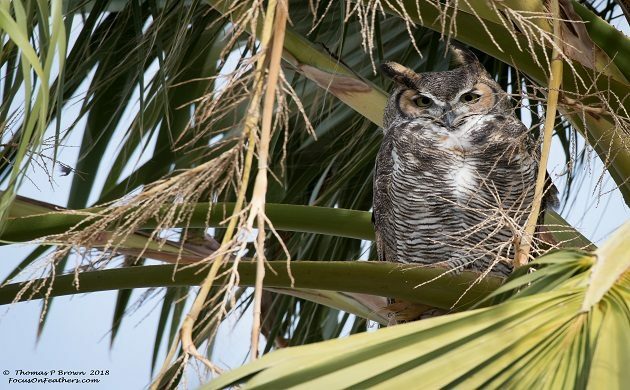 15 Great Horned Owl – The cover photo is our local, who lives in the palm tree right above our site. What Kind Of Bird Is A Seahawk?